Days after Kid Rock announced intentions to run for the Senate in Michigan—news that I am, for my own well-being, taking with a grain of salt—Caitlyn Jenner revealed that she’s been mulling a Senate bid in California. Speaking with John Catsimatidis on his 970 AM radio show, she said that she’s “considered” running for office. 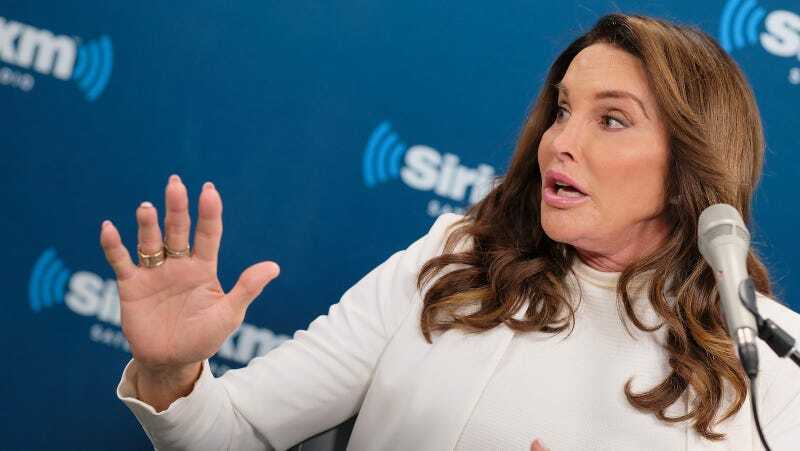 Jenner, a former Olympic gold medalist, reality TV star, and transgender activist, said she would want to focus on equality and transgender rights. “The perception of the Republican Party is that they are all about rich white guys trying to make money,” she said. During the campaign, Jenner said with a straight face that “Trump seems to be very much for women” and that he “backed the LGBT community.” She has since been very disappointed that the administration pretty much immediately rolled back protection for trans students, and sees herself an agent of change for the party. She hopes that the next generation of Americans “can change the perception of the Republican ​P​arty and make it the party of equality​.” Not an easy task, to say the least.